Read Aloud Thursday–More 2011 titles! I always head straight to the new books bin at one of our libraries–something about that little yellow “New Book” sticker by the spine label excites me. (Incidentally, the label isn’t on the spine anymore, since the library has abandoned traditional shelving in favor of browser bins, so what do we call those labels now?) Of course, now that the Cybils are underway, there’s the added excitement of maybe picking up a nominated title to read for my Armchair Cybils challenge! Today I’m highlighting three very different titles that we enjoyed. Can you hug a horse? Eventually the titular question is answered, but not until a whole host of other animals, from goats to dolphins, has been hugged. Gwen Millward‘s pencil, paint, and ink illustrations are expressive and finely-drawn. The pages are stark-white, and the illustrations have no extraneous marks about them whatsoever. Seeing her porcupine makes me remember the shock of seeing one up-close (well, sort of) at the Nashville Zoo a few weeks ago. Somehow in all of my zoo-going, I don’t remember seeing one before. No porcupine hugging at the Nashville Zoo! Owls did not give a hoot. The zoo gates closed early. 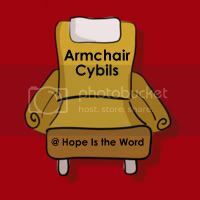 Our first Armchair Cybils link-up will go live next Tuesday, November 15, so you still have time to join in–the details are here. Have you read any good books lately with your children? Please share! That porcupine one sounds like just our kind of book 🙂 Thanks for the recommendation! How Do You Hug a Porcupine is a great read aloud choice! It was the book at this week’s story time at our library. All of the kids loved it! Zoozical also looks quite cute! The porcupine one looks great. We got to pet one at one of local zoos. Did you know they can shoot their quills at predators? And we just read ZooZical here also. I didn’t realize it was a Cybils nominee. Similar experience here: just right for the kindergartner, 3rd grader a little too old for it.